“You know nothing, Jon Snow”. Well, we are not Jon Snow, and we know a thing or two about the filming locations of the latest Game of Thrones Season 7. If you ever wonder where the production shoots the scenes, and consider visiting the place to relive the epic scenes, we’ve got you covered! Spoiler alert! There are no spoilers. 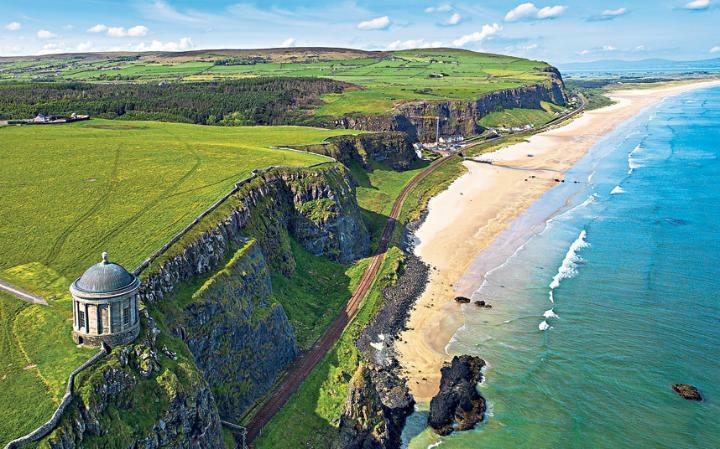 Game of Thrones has made its comeback to viewers’ streams, and screens since last July 16, 2017, gracing its avid fans with the world of White Walkers, dragons and showcasing us with a new, and stunning filming location. Targaryen royalty, Daenerys, went back to the coast of Westeros – Dragonstone. The exact and actual location of the scene is fairly easy to visit. The rock-strewn beach shown in the episode is called Itzurun, and it lies next to a Spanish coastal town called Zumaia, in the province of Guipúzcoa. To most efficient way to get to this Basque splendor is to take the Flysch Route, a seaside walking trail. The local tourist board advises the tourists to keep the tides in check and consider hiring a tour guide. Spain remains to be the most prominent filming locations for Game of Thrones Season 7, just like it has been in the previous season. As per the Spanish sources, the spectacular beaches close to the Basque city of Barrika, together with San Juan de Gaztelugatxe Island, and the port of Bermeo will be featured in the coming episodes. 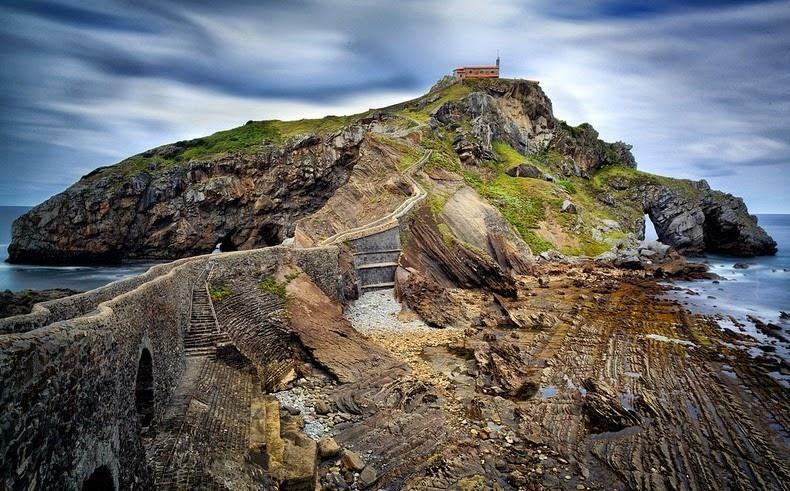 San Juan de Gaztelugatxe, a small and remote island which can only be accessed through a winding footbridge, looks ever so majestic. It is rumored that the Castillo de Almodóvar del Río, in the Andalusian province of Córdoba – possibly as the seat of House Tyrell, the Highgarden. The place, situated in the riverbanks of the Guadalquivir, was discovered in the 8th century and can be seen when you take a cruise on the river. 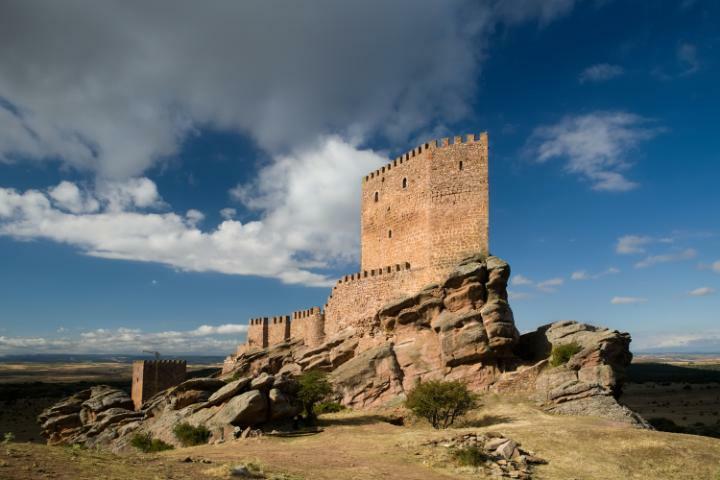 Cáceres City in Extremadura and the nearby town of Malpartida are viable locations of the Game of Thrones filming season 7. Producers’ attention was caught by the glorious rock formation of Los Barruecos, which can be found at the border of Malpartida. Santiponce mayor, Carolina Casanova, asserted that HBO expressed their interest in shooting at the Italica ruins. Italica is a historic Roman city where emperors Hadrian and Trajan are born. The area looks perfect for trial by combat scenes. In the past series, Game of Thrones showcased the Castle of Zafra in the province of Guadalajara, the badlands of the Bardenas Reales in the Navarre region, and Castell de Santa Florentina in the town of Canet de Mar. Last season, the Andalusian town of Osuna’s bullring has been the combat pits of Meereen, Alcazar of Seville was set as Sunspear, Dorne’s capital, and its Water Gardens, whilst the Roman Bridge of Cordoba has been the set for Long Bridge of Volantis. Iceland remains as one of the favored filming location of the series and is projected to play a major role in this season. Ever since Iceland’s appearance on the second season, sights of the country’s frosty landscapes have drawn in fans from around the globe to this small North Atlantic Island. The “Game of Thrones Effect” was said to be the major factor behind Iceland’s notable growth in annual visitors, from 566,000 way back in 2011, it reached to over 1 million in 2015. Past shoots were set in Lake Mývatn, and the eerie lava fields Dimmuborgir in the north, the Höfðabrekkuheiði trekking area near Vik, on the south coast part of the island, the Svínafellsjökull glacier close to Skaftafell, and Thingvellir National Park. During the game of thrones filming schedule season 7, the crew was seen on an exclusive estate close to Saintfield village, south of Belfast where Titanic Studios can be found. It is the exact location where the previous season’s iconic “Battle of the Bastards” was filmed. Further information on season seven shooting spots remain uncertain – mayors of Northern Ireland are not as vocal as their Spanish correspondents. the Dark Hedges, a stunning collection of beech trees that outline a road near Stranocum, County Antrim, and the little coast side village of Ballintoy, which has been the set for Pyke, The Iron Islands capital, in Game of Thrones. Castle Ward has been the starting point of full-on “Winterfell” tours, which features 20 locations. It is also deemed to be a National Trust property and served as the Stark Family’s ancestral home way back in season one.